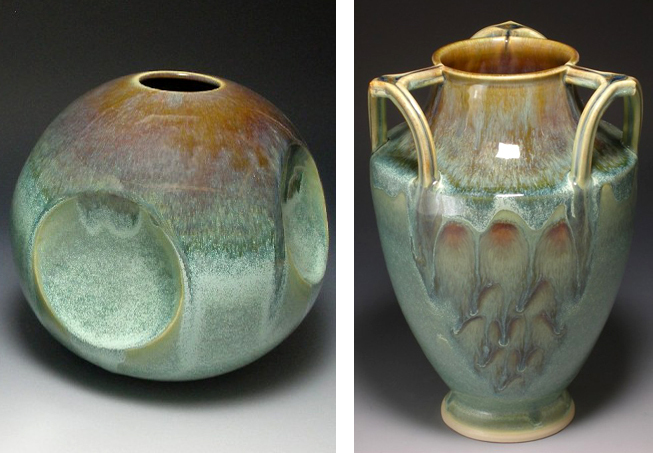 Functional & Fabulous Ceramics with Rich, Artistic Glazes. Austin Potter with a Love of Technical & Artistic Processes. Most of us have heard the Nature vs. Nurture argument, but it's hard to deny the impact of our friends and family. For English transplant Jason Hooper, now based in Austin, growing up in a family of both artists and engineers surrounded him with creativity and curiosity. 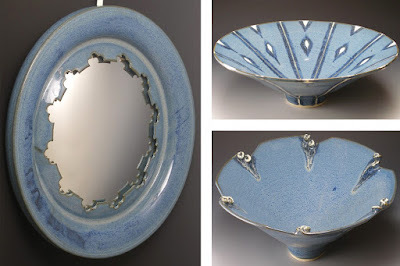 Lucky for us, he was encouraged to explore, and while he started his career in the sciences, he made is way back to art, and now offers beautiful handmade ceramics with a very eye-catching style. 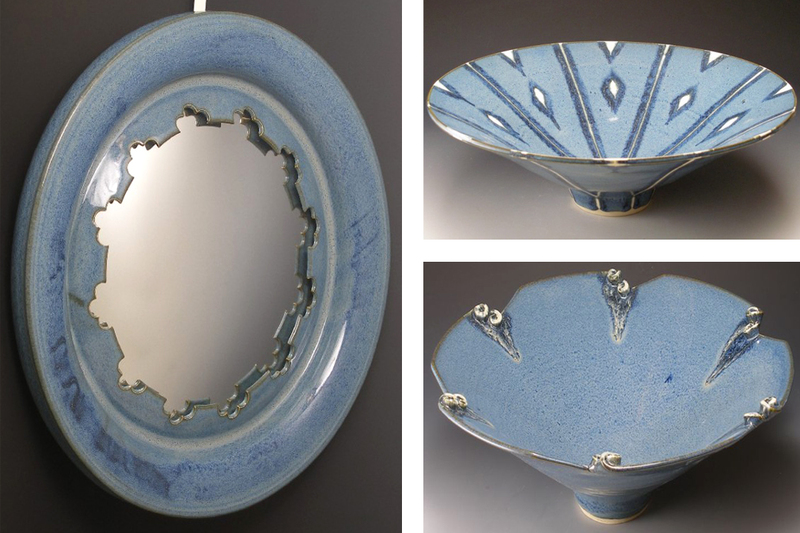 Jason mostly works with white stoneware and a potter's wheel for his functional serving pieces and decor, from mugs and bowls to vases and mirrors. He also has several hand-built items in his collection that are as useful as they are decorative, like business card holders, spoon rests and cell phone chairs. 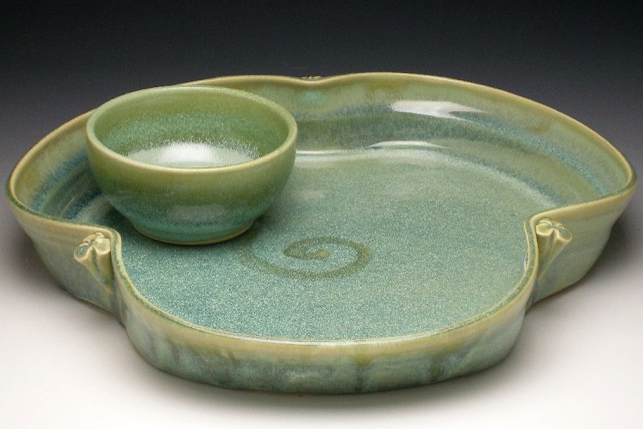 I'm very impressed by his range of items, but also the colors he uses in finishing each piece. Jason enjoys both the artistic and technical aspects of his chosen medium. 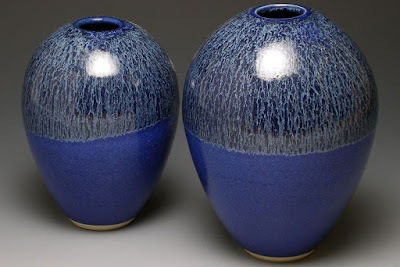 After all, Ceramics is an art and a science with all that you have to know to fire and glaze your work without blowing anything up (literally). Jason has arrived at a tried and true technique that produces recognizable work whether your see him at a local Austin art festival or other events around Texas. With that said, he enjoys experimenting and taking time to figure out the next new element to add to his collection. When it comes to glazing, Jason uses a beautiful mix of natural, organic colors, but also brilliant shades of red and blue. What's really striking is how these colors mix and create pour patterns running down each piece. Take a look for yourself: They're vibrant and wonderful dynamic!